The Body Actualized Center, that full-time yoga studio, part-time music venue, all-time floating oasis and sometime interdisciplinary event space in Bushwick, USA, has been officially open for almost a year now, and in that time its tiled walls and wooden floors have hosted an unusually diverse spectrum of moods. In addition to its army of yoga classes, the calendar has been full of tranquil meditation sessions, all-night raves, open mics, raw food meals, dance parties, full moon ceremonies, live artist and author readings, hushed performances, and now, tonight: the second iteration of a new monthly series called ViDEO PARADiSE: A Video Art Showcase. Curated by Danielle DuGuay and Andrew Sellers, two of the Center's co-founders, the fertively-named PARADiSE aims to present and, more pointedly, spur and foster creative productivity throughout the neighborhood (and Brooklyn at large). In December's first installment of the series, participating artists—many of them present—were encouraged to speak before and after presentations of their work. Less an exercise in critique than a community presentation, ViDEO PARADiSE interestingly navigates the natural question of legitimacy by presenting objectively accomplished work while also eschewing characteristic airs of exclusivity, largely via the physically nurturing BAC environment and open dialogue of the screening format. Certainly there is no shortage of viable creative material in the area, and the lineup of ViDEO PARADiSE reflects this. Subscribing to a rather liberal use of the term 'video art,' the works on display at December's initiation ran the gamut from personal videos to conceptual edits to straightforward music videos to most traditionally-skewed video artwork. The lauded processed-video work of Aurora Halal was contrasted with the blissfully lo-fi music videos of Zak Mering, all juxtaposed with a playful, hysteric series of short interludes by Sophia Peer, featuring her and her parents in sitcom-style household scenarios. Tonight's roster of artists includes M Lamar, Angelina Dreem, Jordan Leoppky-Kolesnik and many others, all screening alongside a video installation by Michael Potvin. DJ Angel Sorbet will provide music during the intermission and after the main program, into the night. 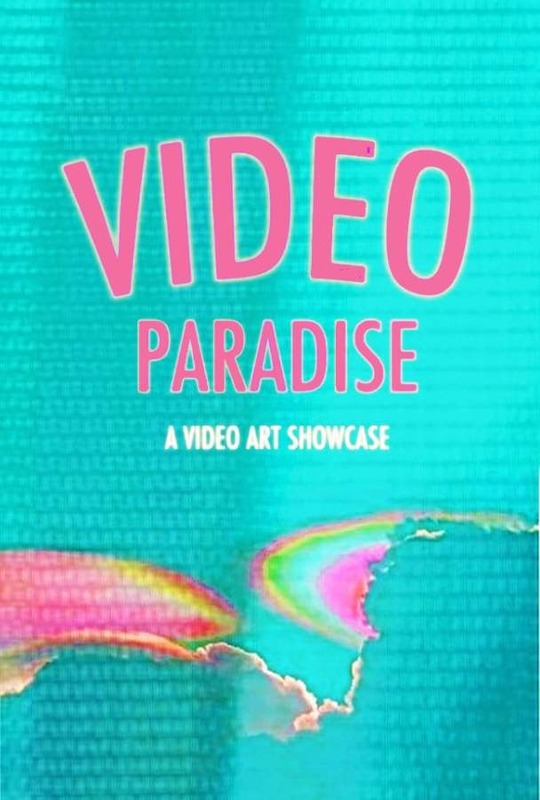 ViDEO PARADiSE 2: A Video Art Showcase runs roughly 10:00pm-1:00am tonight, Thurs January 24, at Body Actualized Center (143 Troutman St, Brooklyn, NY). $5-$10 donation. NO BYOB. Sean writes about moving images for Impose.